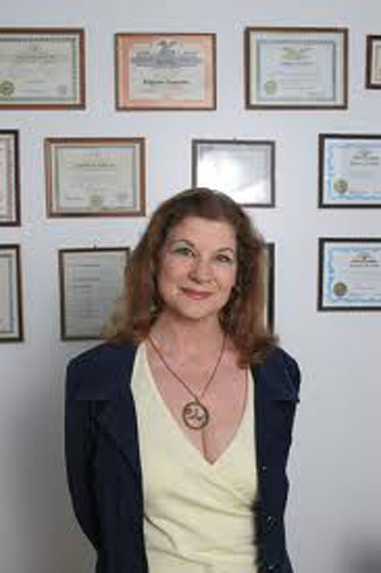 Maria D' Andrea, MsD, D.D., DRH is an internationally known professional psychic and spiritual counselor from Budapest, Hungary. Since early childhood, she has demonstrated high spiritual awareness and psychic ability. Maria is a Shaman, a Metaphysican, and a Consultant. to their surroundings and who wish to lead a more positive and gratifying life for themselves and their families. We know you will find many things of interest on this website. Inner Light Publications is Proud to Present our New Author! 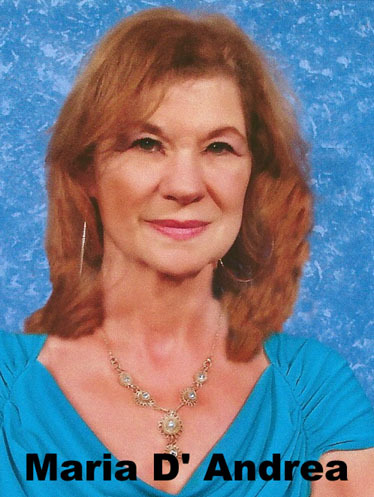 MARIA D' ANDREA - "THE 'MONEY PSYCHIC"
Internationally recognized seer wants you to prosper at all you do in life. Her Books And DVD Sets Are Now Available Through Inner Light Publications. for the special introduction price of only $20 (plus $5 shipping). Visit the Bookshop for details and to order your copy. WARNING! THE SPELLS IN THIS BOOK ARE SO POWERFUL THEIR PRACTITIONERS WERE ONCE PUT TO DEATH! Author and practitioner Maria D' Andrea presents this amazing book to bring you self-empowerment through Wicca and White Magick. The following is but a small sample of the spells this work contains. . .
SPELLS FOR PROTECTION AGAINST UNSEEN FORCES; DRAWING THE CORNUCOPIA OF LUCK INTO YOUR LIFE. 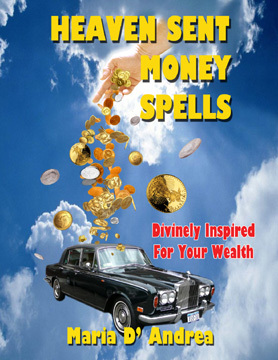 ; SPELLS FOR LOVE AND ROMANCE; A HEALTHY LIFE EQUALS A BALANCED LIFE; CREATING POSITIVE CASH FLOW TO ENHANCE YOUR PROSPERITY. GUARANTEED! 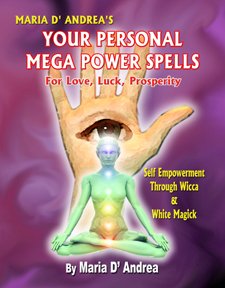 - THIS WORK CONTAINS MORE SPELLS THAN ANY OTHER WICCA-INSPIRED SPELL BOOK! This incredible book is now available from the Conspiracy Journal Bookshop for the special price of only $24 (plus $5 shipping). Here in a workshop setting, and photographed professionally, Maria teaches how to create a world of abundance. She leads the viewer along the personal path that is meant to fine tune their destiny, and reach near perfection in all creative avenues from financial to love, to personal life situations. This series of 3 DVDs included the following discs. . .
Disc # 1 -- THE POWER OF PLANTING SPIRITUAL SEEDS -- Maria teaches how to utilize your thought in a creative way so that each action becomes a most powerful tool for change. This is an excellent DVD to create positive transformation in your life. 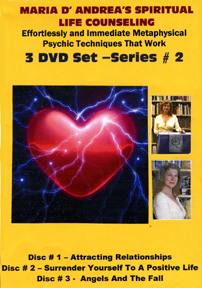 Disc # 2 --YOU CAN LEARN TO LIVE A SHAMANIC LIFE -- One of the many exercises in this DVD is trusting your first instinct. Experience a journey from beginner to master and tap into hidden knowledge so your ordinary life turns into a shamanic one. Fear nothing any longer! Disc # 3 -- Discover the hidden healer within. Here are the basic principles that allows anyone to become self empowered in a short period of time. Seek and you will find! The Content of Series No. Two Includes. . .
Disc # 1 - ATTRACTING RELATIONSHIPS -- Maria teaches how to draw more positive relationships in today's world. Learn the importance of applying ancient methods to enhance your opportunities. She also explains the power of colors, gemstones and astrological periods that are best for women and men. Disc # 2 -- SURRENDER YOURSELF TO A POSITIVE LIFE-- Discover how to allow spirit to assist you in having a more exciting life. Maria teaches the importance of releasing yourself from the past, while empowering you so that you can create your future as the present moment. Disc # 3 -- ANGELS AND THE FALL -- As a Hungarian spiritual and psychic metaphysician, Maria explains the various angels and how they can assist us. She reveals the meaning and importance of shielding to assist in working with these all powerful beings. Maria shows you how to work with Archael Ariel and Zavael with specific techniques. This DVD helps to calm the storm in your life and to create a more positive being. This amazing DVD set is now available from the Conspiracy Journal Bookshop for the special price of $21.95 (plus $5 shipping).